Hi everyone! I’m back after taking a much needed break and I’ve got some exciting things to share with you! 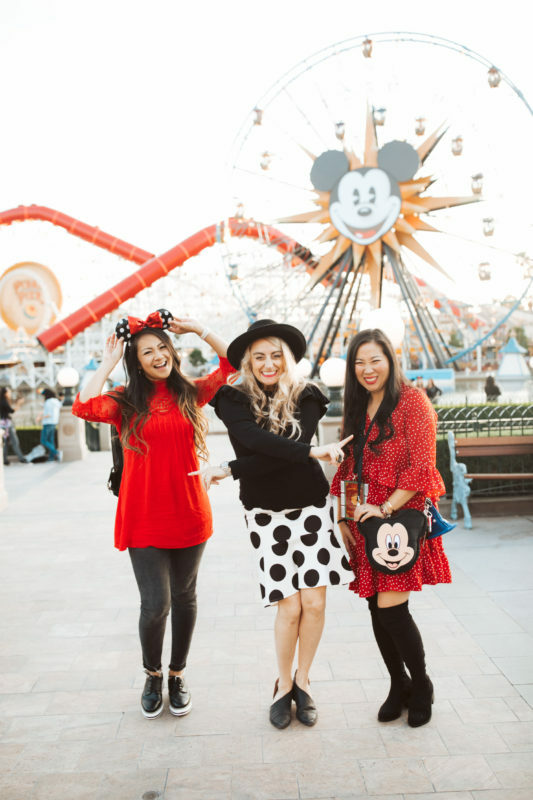 Over the weekend, I had the BEST NIGHT with some sweet blogger friends at Disneyland Resorts. 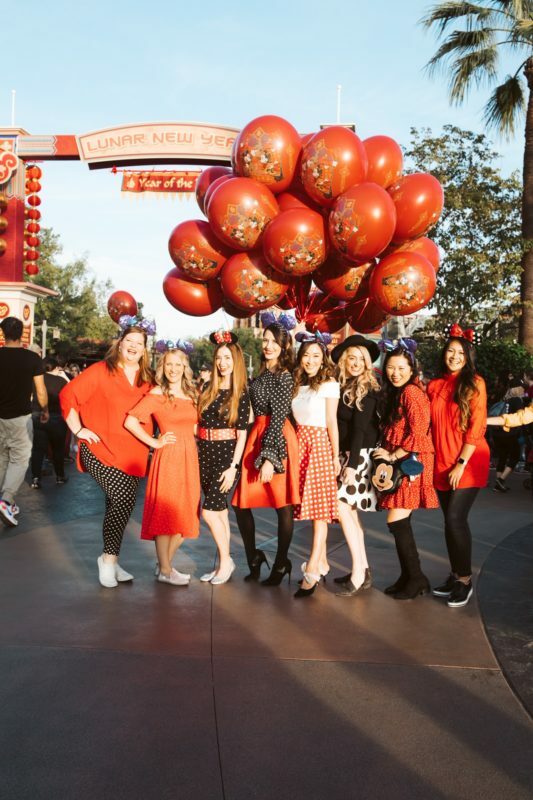 Our friend Erin Ziering invited us to a Disney Girls Night Out and it was so much fun! 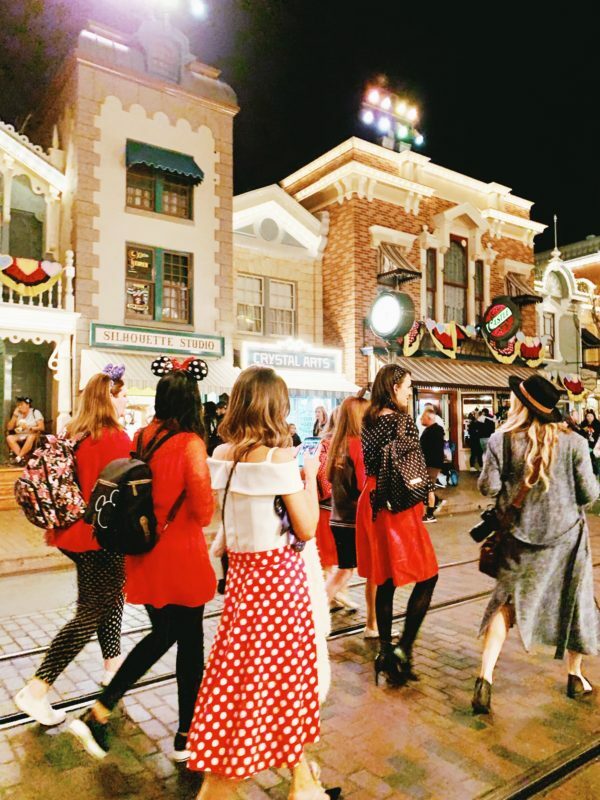 There are always so many new and exciting things happening at Disneyland and Disney California Adventure so it was the perfect place for a GNO! From now until February 17th, you can celebrate Lunar New Year with special performances, decor, merchandise, food and beverages to usher in the Year of the Pig. 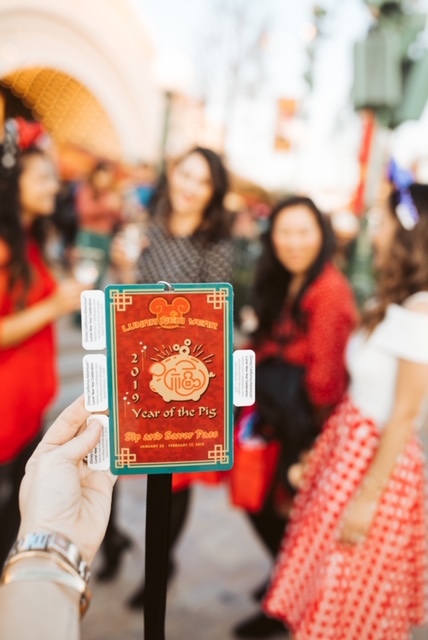 Purchasing a Sip & Savor Pass is the way to go so that you and your girlfriends can sample a variety of food and beverages throughout the Lunar New Year Marketplaces. The Sip & Savor Pass is $39 before Annual Passholder’s discount. It comes with 6 coupons that can be redeemed at 6 Marketplace locations to taste a variety of Chinese, Korean and Vietnamese food and beverages. For our Disney GNO, we got a few items to sample. Our favorite food out of what we tried was the Crispy Shrimp Fried Rice from Lucky 8 Lantern. Next time, I want to try the Firecracker Three Cup Chicken and Steamed Short Rib Shumai from Red Dragon Spice Traders. This booth seemed like it was the most popular because every time we walked by, the line was very long. 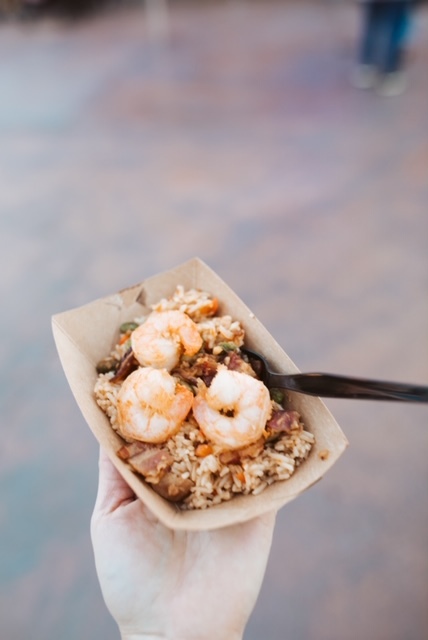 To save time, you can order food from any 4 marketplace booth location however, you need to go that specific booth to pick up the food items. The only downside to this is that a popular item might be sold out but you won’t know it until you go to that booth to pick it up so we did’t try this. 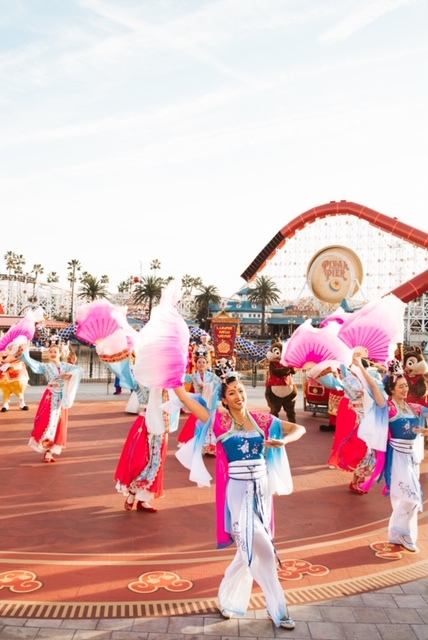 There are daily performances at the Paradise Garden Bandstand to welcome the Year of the Pig. Performances will vary and are subject to change so it’s best to check the Disneyland App for the most accurate information. 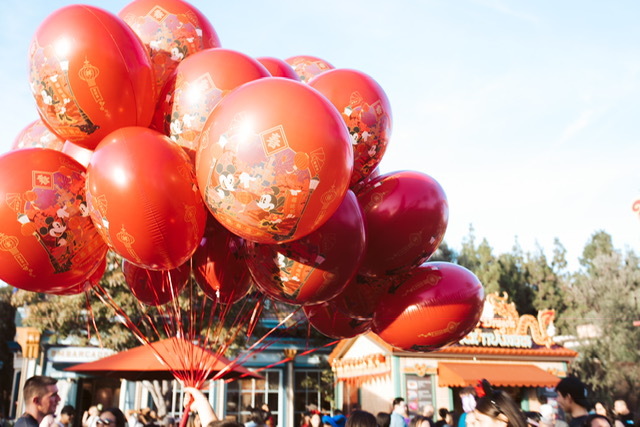 Don’t forget to check out the Character Meet & Greets while you’re at Paradise Gardens to take a picture with Mulan, Mushu, Mickey, Minnie and other Disney pals in festive outfits! You can read more about all the other Lunar New Year activities here. 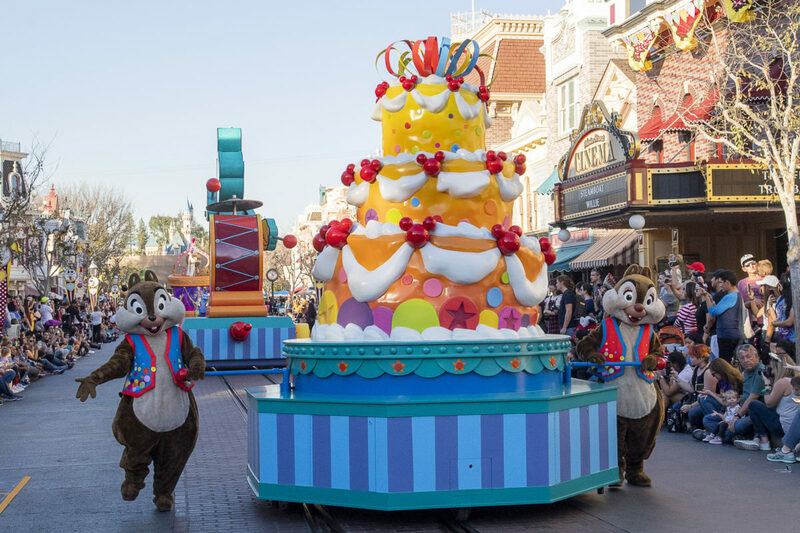 Earlier this month, Disneyland Resort launched “Get Your Ears On” to celebrate 90 years of magic with Mickey and Minnie. Throughout the year, there will be new and exciting ways to celebrate this dynamic duo through new entertainment, decor, food, and merchandise! One of my FAVORITE parades returned- Mickey’s Soundsational Parade with the addition of a new opening and float. It’s better than ever! 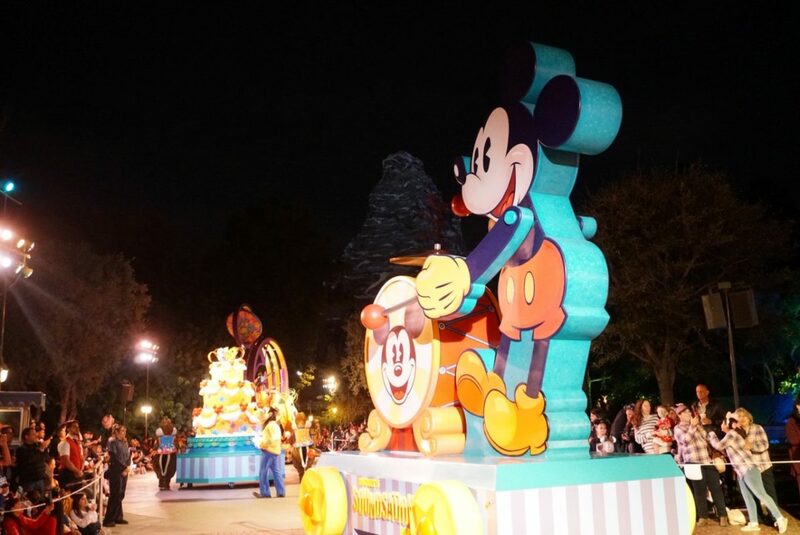 Mickey’s Soundsational Parade plays nightly with two parade times at 3:30pm or 6pm Friday-Sunday and at 6pm Monday-Thursday. The new additions are perfect to celebrate Mickey’s 90th! Mickey’s Mix Magic is an all new, nightly laser, lights, projections show set to some rocking music! 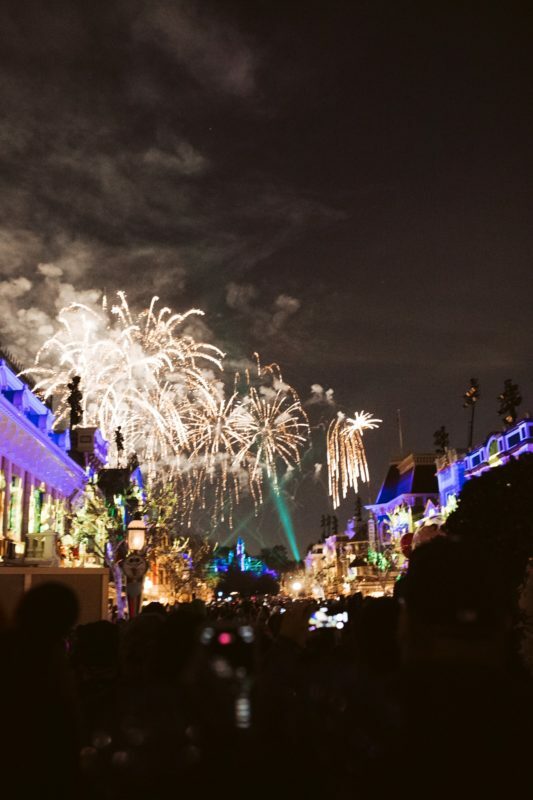 On select nights (usually the weekends), there will be fireworks to go along with the show. We stood right by Town Square and loved the view of the fireworks. For a better view of the wall projections, it’s best to stand in Main Street. You can also view the show at It’s a Small World. Personally for our GNO, we were just dancing to the music so it didn’t matter that we couldn’t see the projections on the walls. It still looked pretty amazing to me. I felt like I was at the biggest birthday party ever! I’m used to coming with my family or with A so it was SUCH A TREAT to go with just girl friends for more than a couple of hours! 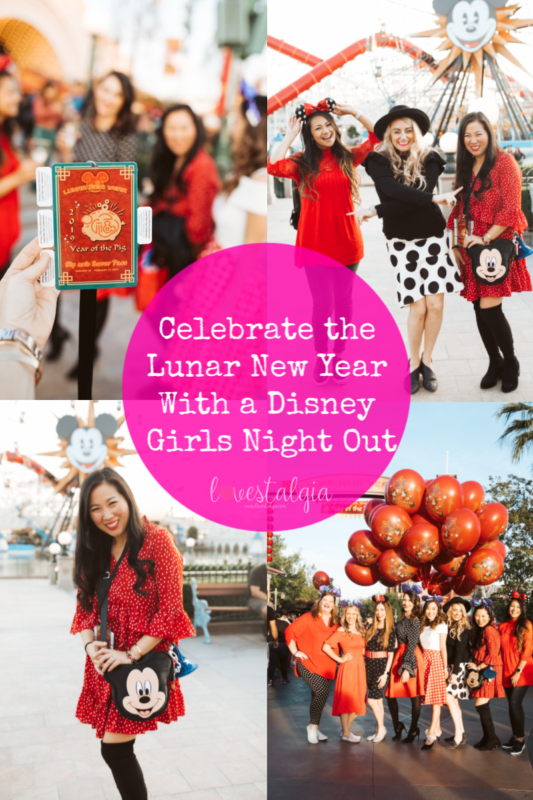 So if you’re planning a GNO and you’re all Disney fans, be sure to check out the festivities this year. Dress in theme! Erin loves themes for her parties so she suggested we all dress up in similar colors/prints. 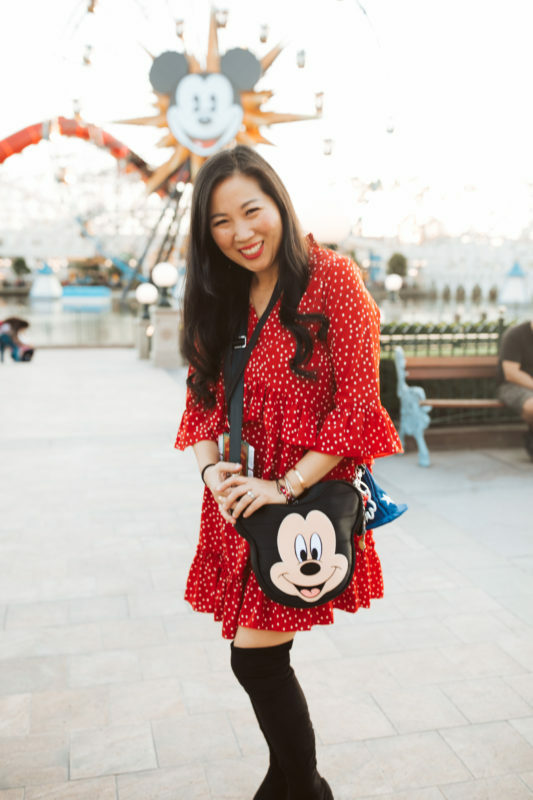 We decided to dress in red and polka dots and it was perfect! Have a photographer. Obviously you’re going to want to take pictures so designate one person or a couple of people to be the “photographer.” Since we are all bloggers/influencers- this was not a big deal. We asked Danielle of City Girl Gone Mom to take pictures with her awesome camera and then shared them the next day. Be responsible. If you’re going to drink wine or other adult beverages at DCA, then do it earlier in the evening. It’s great to have fun but we still have to get home responsibly and have mom life duties the next day. Have a plan. None of us really cared if we went on rides or not. 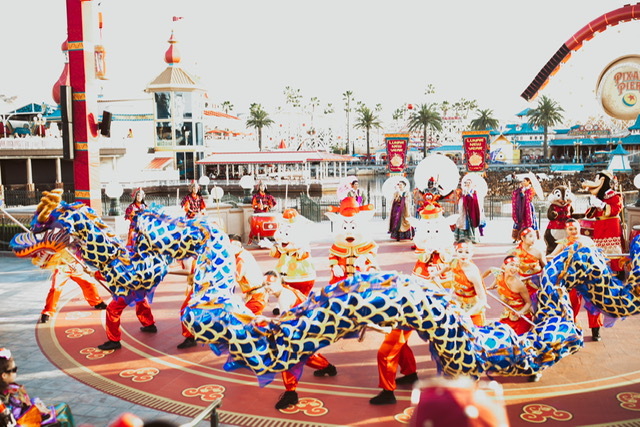 We just wanted to hang out, check out the Lunar New Year festivities, Soundsational Parade, and Mickey’s Mix Magic. Have FUN! Your kids will be alright for the few hours you’re out with your girlfriends. ENJOY! These uninterrupted moments are few and far between so we really made the most of it! Here are the details of my outfit. The Harvey’s Mickey Bag is sold out but I linked a different one below. 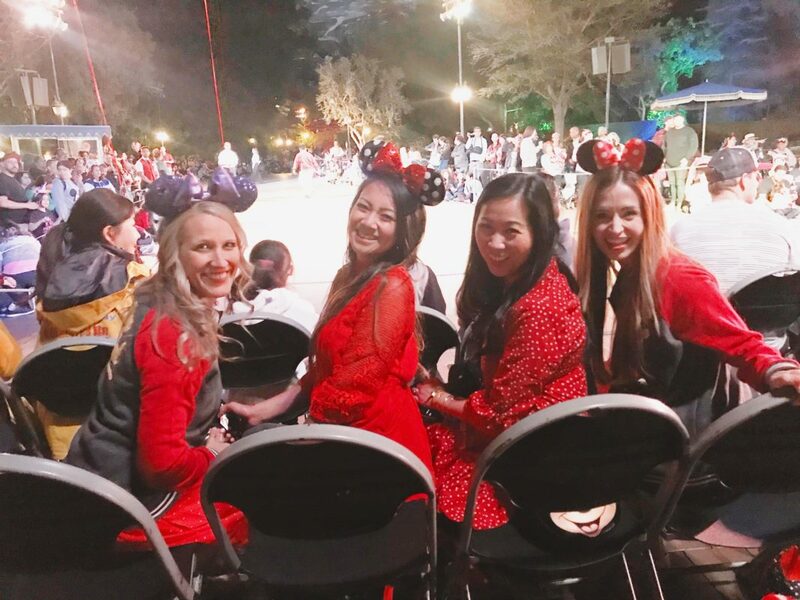 Check out my other friends who were at the Disney Girls Night Out on Instagram to see all of our shenanigans. We were given one day park hoppers, sip and savor pass, and reserved seating for the parade but all thoughts and opinions are my own. Special THANK YOU to Disneyland PR and Erin Ziering for such a wonderful night! 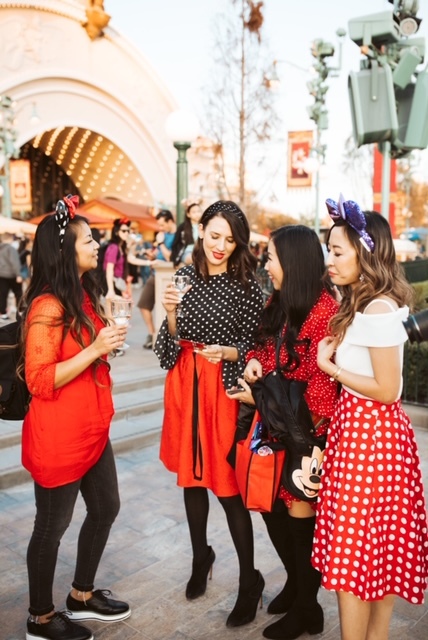 Have you ever had a girls night out at Disneyland? Be sure to check out the Lunar New Year Festivities, Get Your Ears On and Valentine’s Day Celebration. 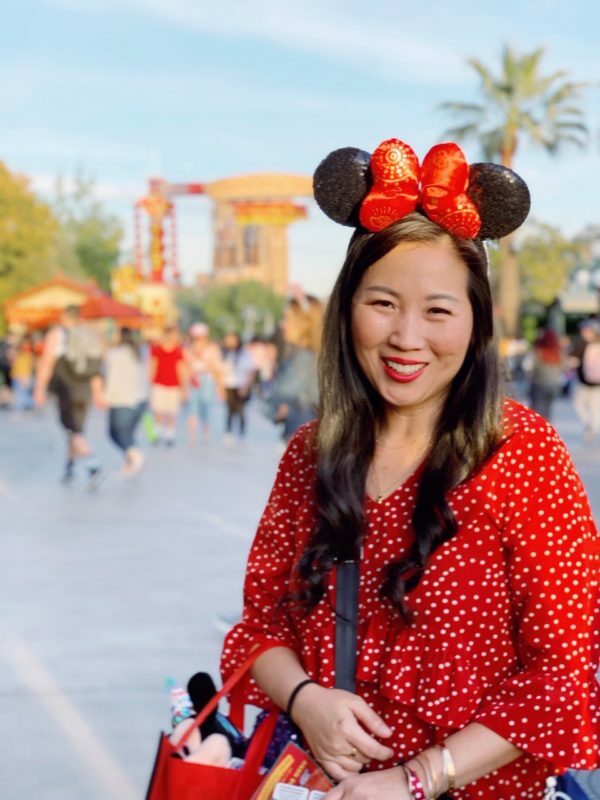 By the way, my friend Jenny from Princess Turned Mom wrote a great post about all the Valentine’s Day festivities at Disneyland. Homeschool Organization: Marie KonDo or KonDon’t? What’s In The Disney Princess Subscription Box?